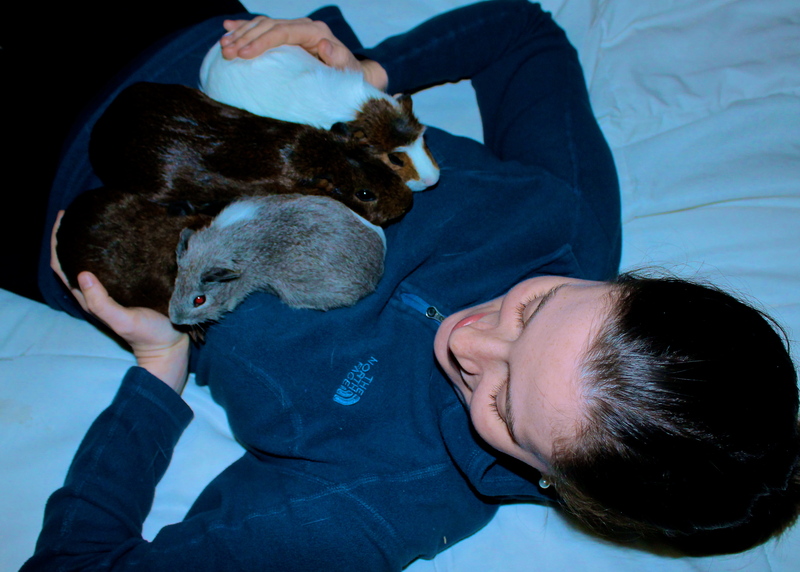 4-piggie snuggle! Glad they get along — a rumble with fur flying would be a bit overwhelming, no? Can see the size differential here! M and Pepita serious blend together! Or else it’s one very long brown piggie! !